Upgrade you Holiday look with choices from this Ornate Happy Hanukkah At Pier 1 Imports display. Always decorative, Pier 1 visual merchandising is not to be missed for any occasion. Here the counterpoint to Hanukkah offerings are chairs, stools, and cosmetics table. So even if your religious leanings are not Abrahamic, there is something for everyone at Pier 1. 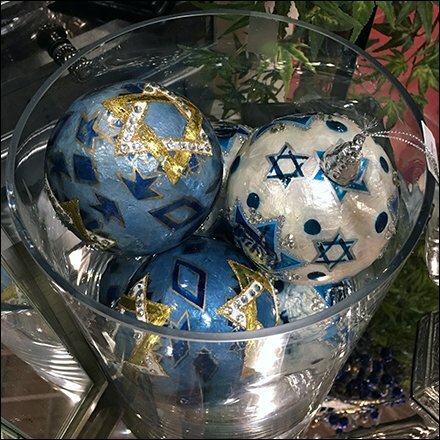 Consider Ornate Happy Hanukkah At Pier 1 Imports in the gallery of images. Seen at Pier 1 Imports, Wilkes-Barre PA.
For Pier 1 Imports Holiday outfitting see..